Custom floaty pens help advertisers grab attention of the consumer for their food and beverages products. It’s a very competitive business with brands competing for consumers every day for there products. The food and beverage industry fights hard for customer attention and most corporations have very important marketing budgets to brand their products with the consumers. 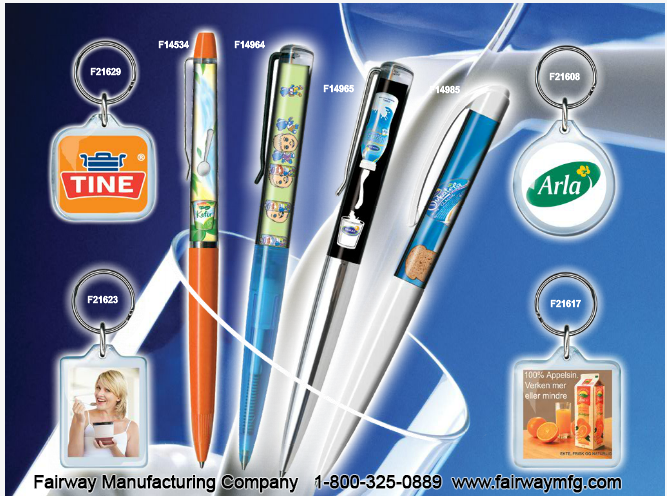 With Floating view pens, they can grab that attention and keep it in the minds of the consumer longer.